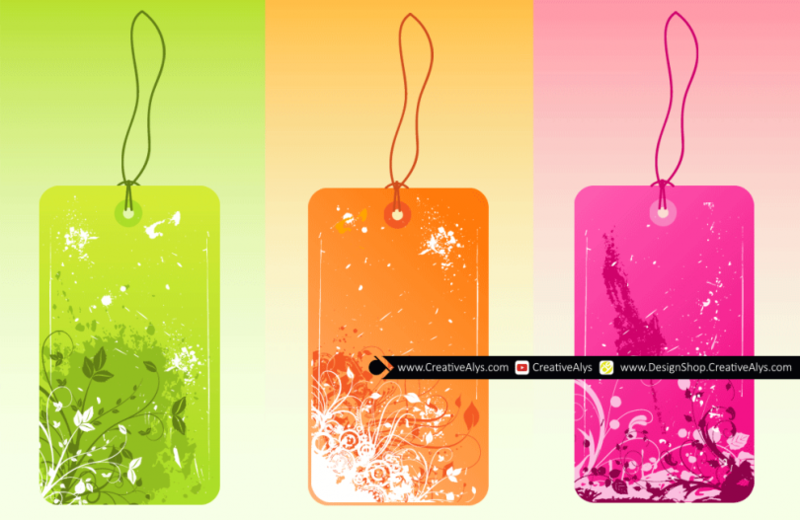 Grunge PSD tags & labels in 3 different color themes; Green, Orange and Pink that can be be used in websites and marketing materials to make your designs look great and attractive. The labels are beautifully designed in grungy flowered style that really attracts your viewers. Grab these Grunge Tags fully layered Adobe Photoshop PSD file now and feel free to use and share it. Also don’t forget to check out our design shop for more great resources. Subscribe to our YouTube Channel to get more amazing stuffs and useful information.